Our University Prep High School Academy is for students in 9th through 12th grades who want to be ready to apply to a four-year university, state college or community college after high school graduation. In this unique program, students work independently at home and in the community with the support of a teacher and in small-group activities with other students. Academic success at the college level requires students to have a high level of technology skills. Since students complete their coursework at home, they are provided with an Acer Chromebook while enrolled. Projects are completed with the help of a variety of online tools such as Google Apps, an online learning management system, and more. In addition, teachers and students stay connected by way of face to face, phone, text, video-calls, and email. Students are provided opportunities to research local universities like Cal State Sacramento and UC Davis. Through field trips, our students learn what college is like. In addition, our UC Davis STEM mentoring program helps our students develop college plans with visits to university campuses, which allows each student to have an opportunity to interact with college students to explore their post-high school options. All courses in this academy meet A-G requirements which are required to apply to many State and UC system universities. Students work in groups to learn by doing projects that are based upon the students’ unique interests. Each individual receives support from their peers and a team of teachers through various types of meetings. The students develop strong communication, presentation, organization, time-management, research, self-awareness, and reflection skills from the University Prep model of learning in groups and doing individual projects. At Visions, we’re proud to be a part of every student success story. While we help our students earn a high school diploma, we know that’s just the beginning of many remarkable achievements. Hear from our students who found success in their personalized college-bound pathways — and went on to accomplish amazing things after graduation. Read more success stories here. “Visions In Education is an excellent option for those who struggle in the traditional school setting. We never thought that our son would take the initiative that he’s taking to finish his assignments. He also receives more one-on-one time with his teacher than he ever did at his other high school. Considering Visions? It’s worth checking out!” Read more reviews on GreatSchools. “I loved Visions. I took all four years of high school from home because of Visions. They provided me with a laptop so I was able to work easily. I had a great teacher who helped me out by teaching me life skills.” Read more reviews on Niche. 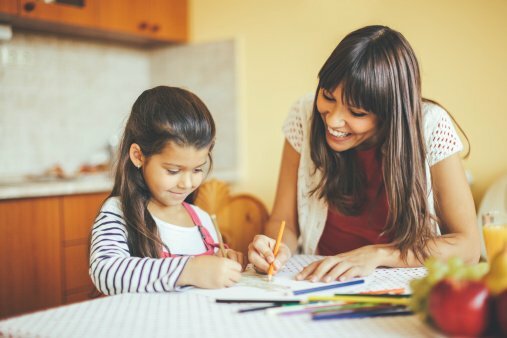 “Visions is really the best of both worlds because you get the guidance of a credentialed teacher, the funds to tailor your child’s education to their interests, and the flexibility of a home school schedule. Your teacher is just there to bounce off ideas, help with resources, help with curriculum, and make sure your child is on track with CA guidelines for grade level.” Read more reviews on Yelp. “I loved Visions. The teachers were always there to support, teach, and work with students to succeed. My teachers took the time to get to know me and took a real interest in helping me grow; completely different experience from when I was in public school.” Read more reviews on Niche. “Been with them 8 years, each year is better than the last. They give you as much support as you need and want. Both my kids are extremely happy with their education and freedom of learning. Our teacher has had our kids since kinder and knows them so well. Even this many years later we are happy with Visions and all they offer our kids, no other charter compares.” Read more reviews on Google. “We have been with Visions for just over a year now and can honestly say…we are happy! Our CT (credentialed teacher) is well educated in the homeschooling path and can advise and support us easily on our journey. Every curriculum request is handled quickly and efficiently and monthly enrichment days are enjoyed by our children.” Read more reviews on Yelp.